Here’s the deal. 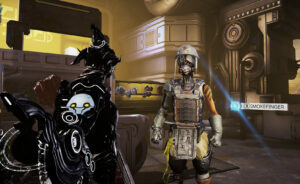 There’s still so much about Warframe I’m wrapping my head around and since Vinny hasn’t tried this stuff out yet, I’mma gonna write it so he can take a peek. I’ll work in one for fishing soonish, hopefully tomorrow. So here’s one for the Vinnster and anyone else who’s too embarrassed to ask just how the hell you use the damn scanner someone told you to buy and is taking up an equipment slot doing all of nothing. Now my fellow newblets, the thing is that mining in Warframe seems to be about as intuitive as a brick until you actually do it. Once you’ve equipped the scanner and started running around you’ll probably realize how silly you’ve been for not just doing it this entire time. That is unless you do it by your self and take one of those leaping moa bastards to the face while you’re trying to mine because Ozzy was apparently on a pee break or something. I love that Kubro buuuuut sometimes I wonder what exactly she’s up to. 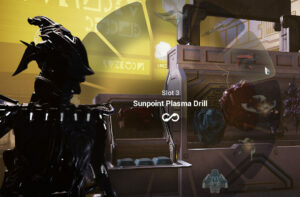 Just add that puppy to your Equipment wheel from your arsenal interface. Basically go to where you spend hours deciding what colors to put on your warframe. 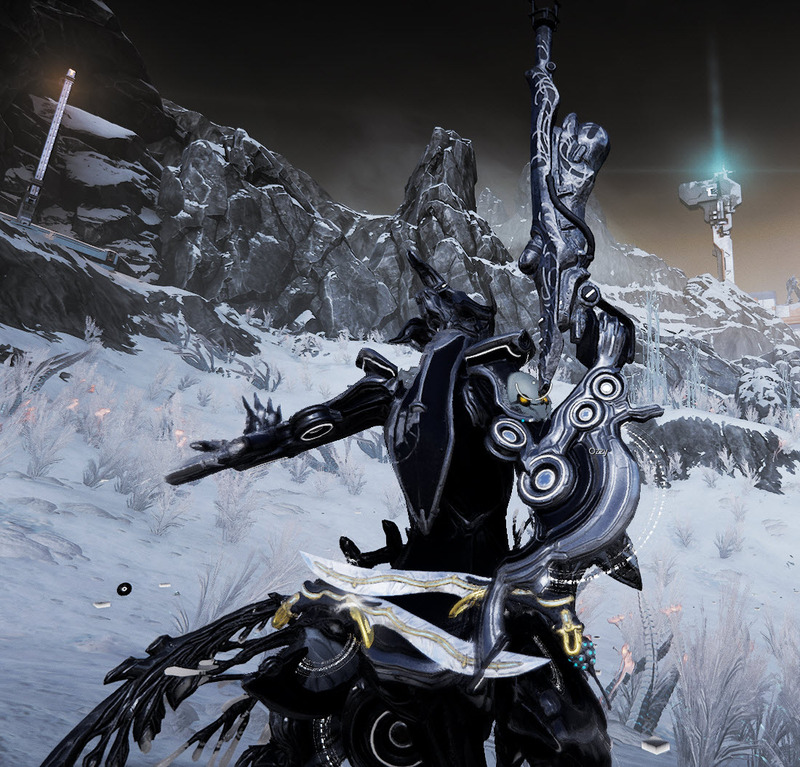 Just below that is the boring spot where you were told to add scanners in one of the first missions and haven’t touched it since you got the Arcwing launcher on the Plains of Eidolon. Now once you’ve got that guy equipped you can head out and start looking for rocks. 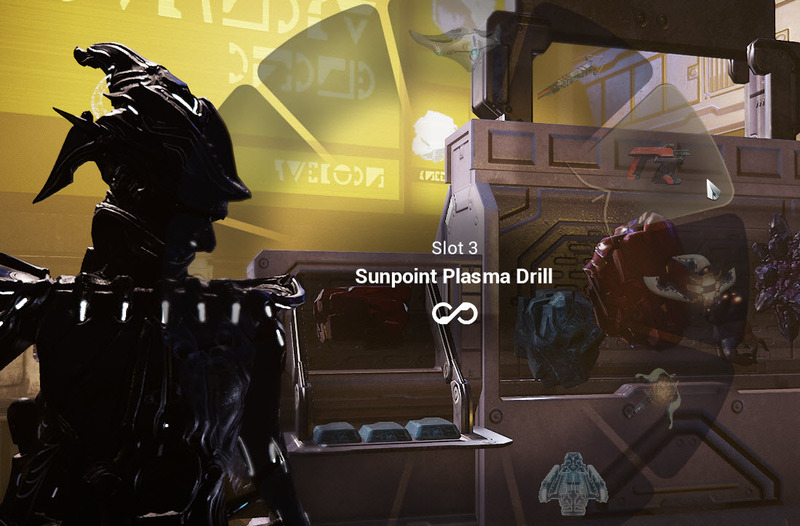 Open your Equipment menu and load up the Sunpoint Plasma Drill the same way you’d load a scanner or the K-Drive. You’ll want to run around rocky areas and if you have sound on you’ll hear the drill making more noise the closer you get to a mining vein. 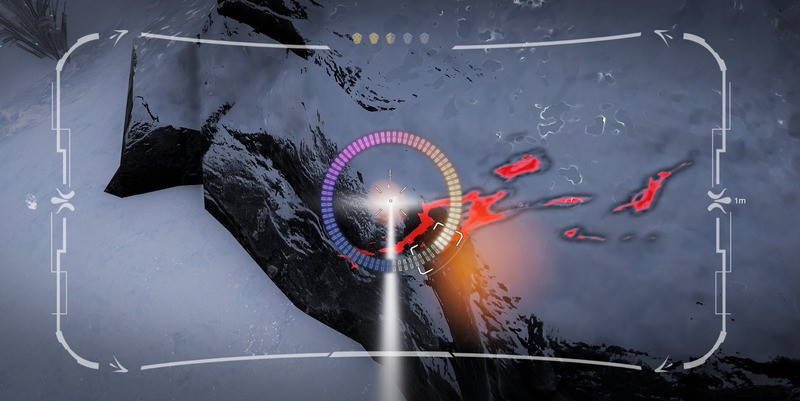 Also take a look at the minimap and you’ll see little gem icons there that’ll help make it a lot easier to find what you’re looking for. 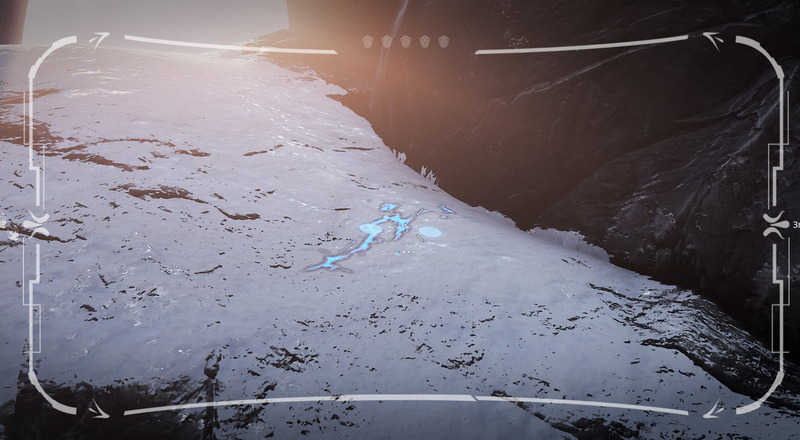 What you’re looking for are glowing cracks in the rock. They stand out a bit which makes life much easier. Just zoom in with your scanner and move the drill reticle around until it lands on one of these happy blue spots. Those are what you’re gonna want to hit. 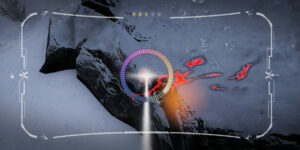 Now lazer them like nobody’s business with the drill (by using the left mouse button) and you’ll see the mining mini-game pop up. From there it’s pretty straight forward you just wait till the wheel makes it’s way to that sweet spot between the brackets and take your finger off the mouse. Boom! you’ve got STUFF! Look I’m not responsible for what you get from it, I’m just showing you how to do it. 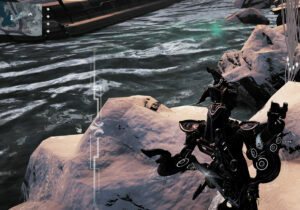 So now you can mine with confidence, and you too can take a Moa to the face while innocently mining in enemy territory. Good times am I right? At this point I should tell you to bring friends when mining as it definitely helps to have an extra punching bag… I mean friend… at hand to help you lazer those rocks but well everyone wants to do stuff on their own sometimes. So yeah, I’ll get another one of these together for fishing. Mostly for myself in case I forget how to do it. PS there’s probably one thousand and one videos on how to do it, but hey, some of us are still old school.